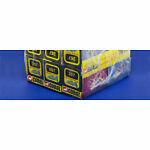 We have over 2000 Dinky, Corgi, Matchbox, and various other models in stock. If you cannot find what you are looking for please check our website. We have been selling worldwide for over 25 years. If you have a certain model you are trying to locate, please contact us. Happy Collecting! Solido Transporter Set with 6 Cars. Very Near-MINT to MINT. Unopened. Boxed.